Planters for small seeds as well as large ones! Designed by engineers with field work experience and specialised in precision planting, these seeders were created for market gardeners, landscapers and others needing a simple yet precise planting tool. 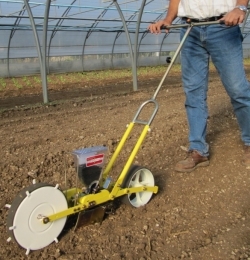 Designed by engineers with field work experience and specialised in precision planting, these seeders were created for market gardeners needing a simple yet precise planting tool for larger seeds such as beans, maize, sweet corn and peas. 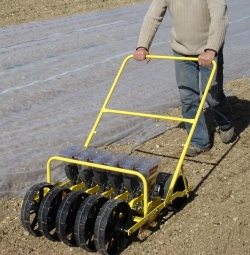 Semoirs Terradonis®: for all your vegetable seedlings! 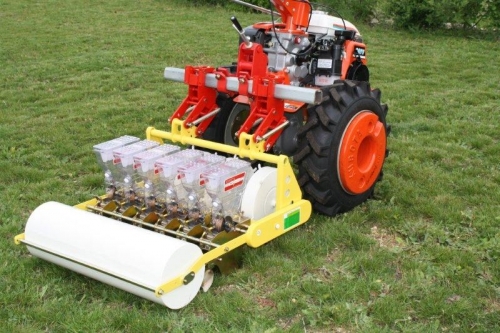 For manual planting (or manual seeding), the Terradonis® range of machines offers top end performances. Terradonis® has chosen these particular seeders because of their outstanding results, both in Africa and in Europe, obtained by farmers and vegetable growers who need to combine low cost and precision seeding. 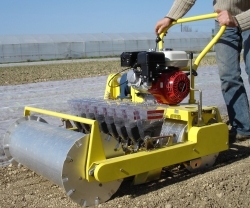 Depending on the model, they can be used to plant small vegetable seeds (onions, carrots, cabbages, radish, salad etc. 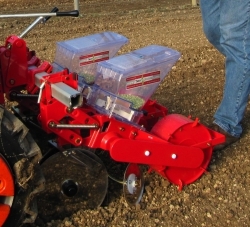 ), or bigger seeds such as maize, or beans... You can choose between one, three or six row manual seeders depending on your needs. Many optional accessories are available for the entire range. 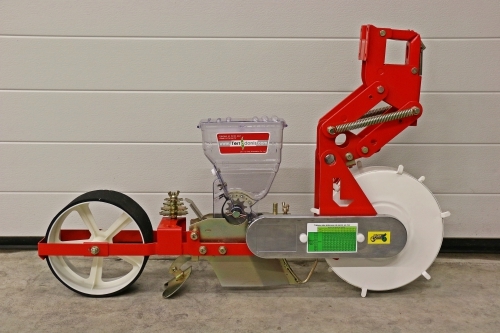 Terradonis® - Choose the right seeder for you!